Are you looking to better yourself and better your personal well-being? Ready to lead a healthier, more positive life? Our specialized training team can help in many areas such as children, adults, adolescents, couples with a wide variety of concerns like anxiety, stress, trauma etc. 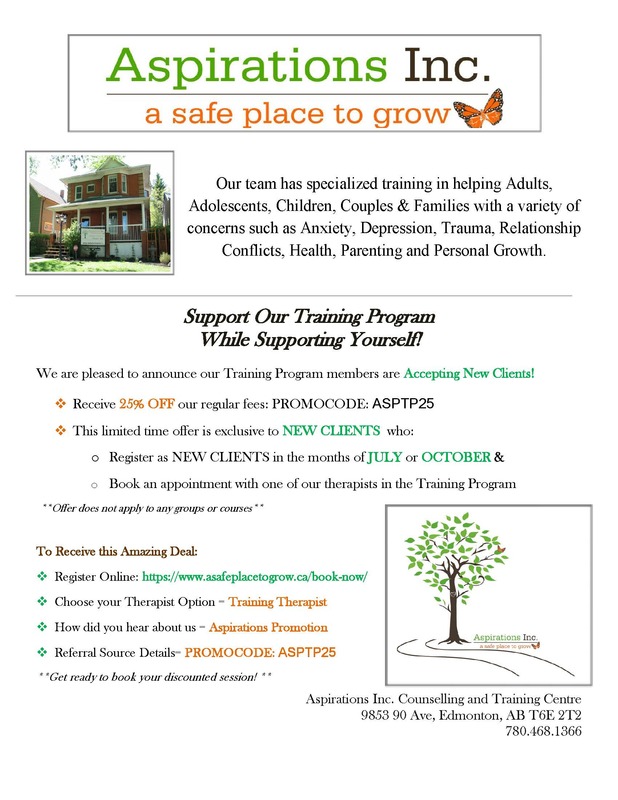 For the month of October at Aspirations Inc we have a promotion for training therapists and if you BOOK TODAY you can recieve %25 off our regular fees using the promo code in the poster.